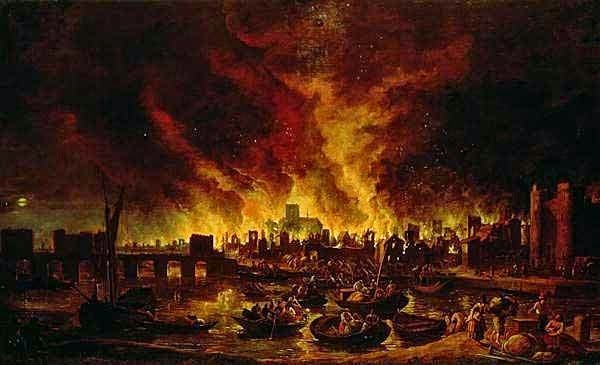 “By and by Jane comes and tells me that she hears that above 300 houses have been burned down to-night by the fire we saw, and that it is now burning down all Fish-street, by London Bridge.” In September 1666, Samuel Pepys witnessed a tragedy. The London summer had been dry and the stench of the narrow, filthy streets rose hazily over the wood and pitch buildings. Plague had beset the cities in and disease carrying rats scurried in the muck. On September 2, while most folks were in their beds, a maid of the King’s Baker’s household tried to put out a small fire that sprung out of the embers in the bakery’s oven. She failed, and as the fire spread it killed her and set the whole house ablaze. The fire, fed by the dangerous wooden nature of the houses and shops around the bakery, consumed the street and sought more fuel. It found ample source in the warehouses by the Thames which were filled with oil and other flammable goods. Sir Bludworth, Lord Mayor of the city, was woken up to deal with the fire early on, but he went back to bed assuming it was small and manageable. It must have been shocking the next morning when the flames were overtaking London Bridge and creating an inferno so hot at St. Paul’s Cathedral that its lead roof melted. The standard way of dealing with fires at the time (and one that’s still used in fighting forest fires today) was using firebreaks. 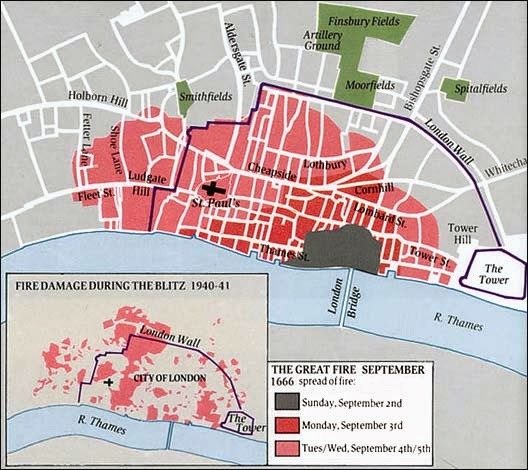 Firebreaks in London meant destroying good buildings to prevent spreading. Despite the devastation, Bludworth hesitated, fearing the property loss. In the meantime the city burned. Samuel Pepys brought his findings and “[told] the King and Duke of York what I saw.” The Duke of York took control of the situation and ordered firebreaks. Unfortunately, even these would prove detrimental in cases, merely providing more rubble to burn. The fire continued to blaze until September 5, but not before it had killed at least four people, destroyed over 10,000 homes, churches, and government buildings such as the important Royal Exchange. Traces of the fire remained for months, smoking reminders during rebuilding. On March 16, 1667, Pepys wrote, “The weather is now grown warm again, after much cold weather; and it is observable that within these eight days I did see smoke remaining, coming out of some cellars, from the late great Fire, now above six months since.” While the plague had burned away with the rats, it would take years to recover from the Fire. 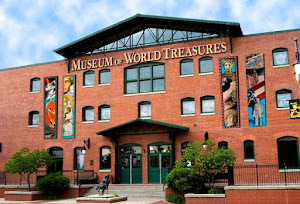 To learn more about this time in history, please visit the Museum's newest exhibit, Creating the Crown: Developing Royal Dynasties.